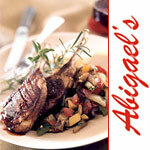 The Abigael's Group is well known for its fine dining, in-house and off-premise catering. Abigael's On Broadway, with its Victorian style decor, ambiance and versatility, comfortably accommodates an endless array of Social and Private events. Private rooms can be arranged for groups from 10-400 people. 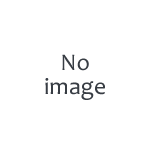 Menus are specially designed to match each event, occasion and budget. 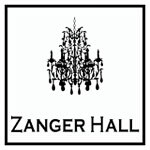 Zanger Hall is an elegant event room in the historic WSJC Synagogue on 34th Street (2000sf with stage) with high ceilings, beautiful crystal chandeliers, and stained glass windows. Zanger Hall is an ideal space for small weddings, Sheva Brachot, Bar Mitzvas/Bat Mizvahs and other simchas. With an authentic Japanese cuisine and a modern, clean ambiance, Moshi Moshi Restaurant will provide a perfect setting for your Sheva Berachos or any other event. Ask them about their special Party menu. At King Solomon Catering, we have created an international GLATT KOSHER menu to conveniently accommodate any event. Our Executive Chef and his team of kitchen staff are professionally trained in the art of International Cuisine. Caraville Glatt, the new home of the Essex on Coney, has three beautiful party rooms for all your Shabbos Simchas. The JCC of MP Simcha Hall, centrally located in Marine Park, is ideal for Sheva Brochos, Upsherins, Vorts, Brisim, Bar Mitzvahs or Kiddishes. The elegant ambiance and the impressive cuisine of master chef Mark Green make Glatt-A-la-Carte the perfect setting for your gathering.